CAUTIs are one of the most common hospital infections, and many times these infections could be avoiding by better procedures followed by nursing staff inserting and changing the catheters. Urinary tract infections increase patient suffering, but even on a purely economical level it’s bad for hospitals because it increases the time and resources needed for care. So, in essence, everyone loses. Regardless if an individual chooses to self-cath or is being cathed by a caretaker, good procedures should always be followed to prevent infection. And an individual needing a catheter should have a good understanding of the proper procedures for cathing – so, what can a patient do to protect themselves from improper nursing procedures and prevention of UTIs? 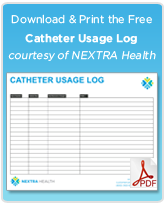 Learn how Catheter-associated infections happen. Ask a lot of questions about the hospital’s procedures for catheterization. Understand how their process works, and ask what they do to prevent infections from happening. Find out the answers to how long it will be needed, why its necessary, and when it expected to be removed. If you don’t understand an answer, keep asking. Or perhaps you’re not asking the right questions – so talk with hospital staff who can lead you to the person who can answer your questions properly. Get family and friends involved if necessary to get the right answers. Ensure any visitors, nurses, and doctors all clean their hands with soap and water. All caregivers should wash their hands before touching you, the catheter, or the tubing. Don’t touch, or let anyone else touch, the catheter and tubing without washing their hands first. 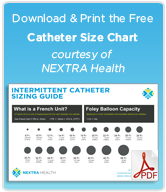 Ensure any catheter inserted into the body is sterile and opened immediately before use. If you are told you have a high bacteria count on your skin, clean it with an anti-septic solution. Keep a stock of soaps, anti-septics, no-rinse cleansers, gels, lotions, etc. for your own personal use and for nursing care. Talk with the nurses or doctors immediately if bandages or equipment get wet or dirty. If there is any pain, redness, or soreness around the catheter, let the nurses and doctors know.